Do you listen to the radio, watch TV, or use a microwave oven? 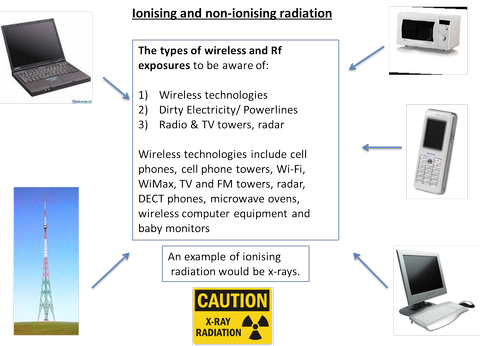 All these devices make use of electromagnetic waves. Radio waves, microwaves, visible light, and x rays are all examples of electromagnetic waves that differ from each other in wavelength. (a) Longer wavelength; (b) shorter wavelength. Electromagnetic waves are produced by the motion of electrically charged particles. These waves are also called “electromagnetic radiation” because they radiate from the electrically charged particles. They travel through empty space as well as through air and other substances. Scientists have observed that electromagnetic radiation has a dual “personality.” Besides acting like waves, it acts like a stream of particles (called “photons”) that have no mass. The photons with the highest energy correspond to the shortest wavelengths.